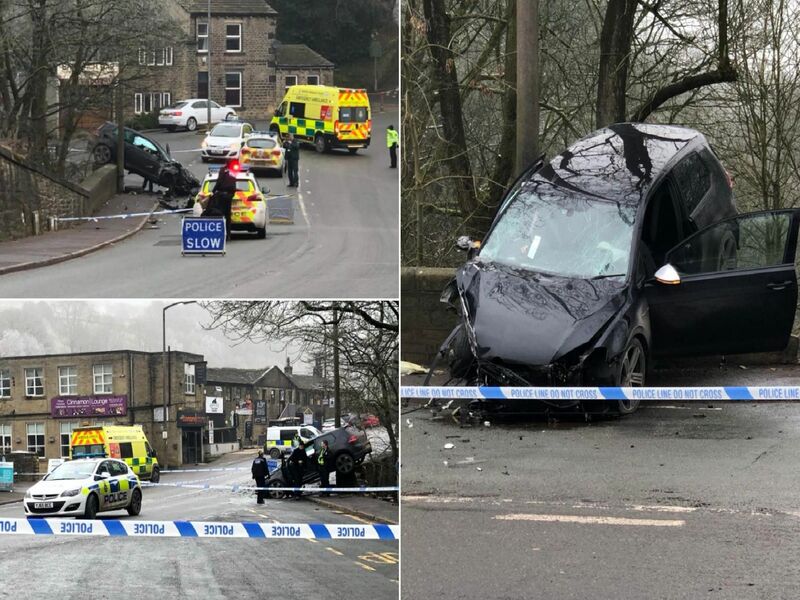 A dramatic police chase through Calderdale ended with a car smash and the arrests of four men after a suspected bank robbery in Halifax. Police were called to Waterhouse Street, Halifax at about 10.53am yesterday following a report of a cash in transit robbery. The incident occurred after a group of males approached and then threatened the driver before making off with a cash box. A suspect vehicle collided with a wall on Oldham Road in nearby Ripponden shortly afterward and officers arrested four men nearby. Duncan Watson, G4S Area Risk Consultant confirmed the incident at Waterhouse Street and said: "Our courier was attacked shortly before 11am during a routine service at Natwest on Waterhouse Street, Halifax."